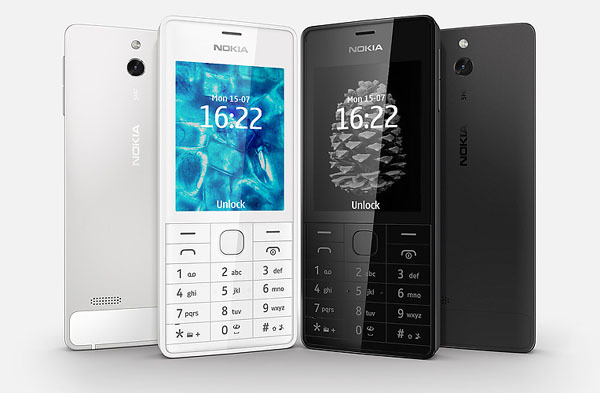 Nokia announces the 515, a premium mobile phone made with style-conscious people in mind with 2.4" screen, Full-focus 5 MP camera with LED flash and 3.5G connectivity. Wrapped in lightweight aluminium, the Nokia 515 available in single and Easy Swap Dual SIM variants. The new 515 phone also comes with HD voice, which means you can enjoy crystal clear audio, even in noisy environments. It features scratch resistant Gorilla Glass 2, and available in black or white. ﻿The Nokia 515 delivers a fast, 3.5G Internet experience. It comes with a standby time of up to 38 days in the Single SIM version. Mail for Exchange allows people to check work email and sync their calendars and contacts on-the-go. It can also be connected to a PC or laptop and used as a modem via a USB cable. The pre-installed Transfer app, can sync contacts directly from a Lumia, other Windows Phone 8 smartphone or Android device, transforming the Nokia 515 into the ideal secondary or companion device for on the go. 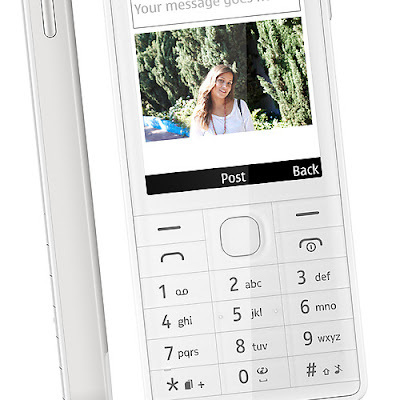 The Nokia 515 features a 5 megapixel camera with LED flash, the smart camera offers a choice of image capture, editing and sharing options. Panorama - for wide-angle shots, including group photos and landscapes. Sequential shots - capture up to five frames in a row with just one click, then choose the best of the series. You can also share photos and other content using Nokia's exclusive Slam, which comes built into the Nokia 515 and works by transferring content such as images or contact cards to an adjacent Bluetooth-enabled phone in just a few simple clicks, without the need to pair devices. The Nokia 515 starts to roll out globally in September, starting in Russia, Germany, Switzerland, Poland and will have a suggested retail price of $149 (USD) / €115 (EUR) before taxes and subsidies.